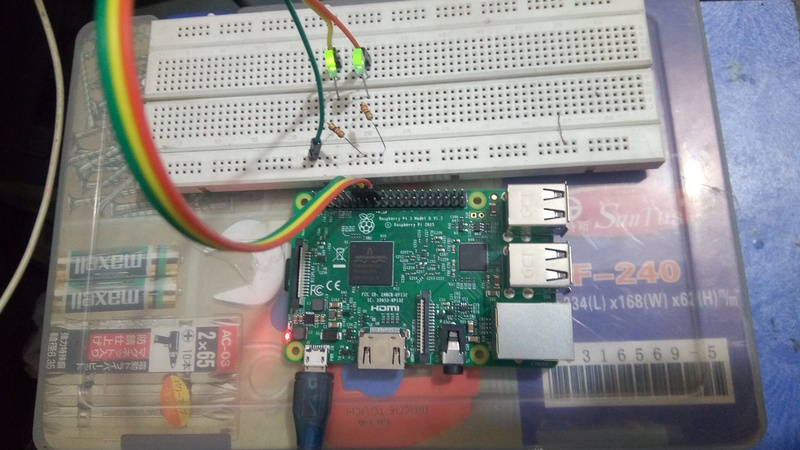 After successfully installing raspbian into Raspberry PI, the first thing which comes into the mind of the embedded developer is to play with Raspberry PI GPIO. Because the very best advantage of this cheap computer is to use with external hardware through its GPIO. We are going to explain how to play with Rasberry PI GPIO’s using PYTHON language. 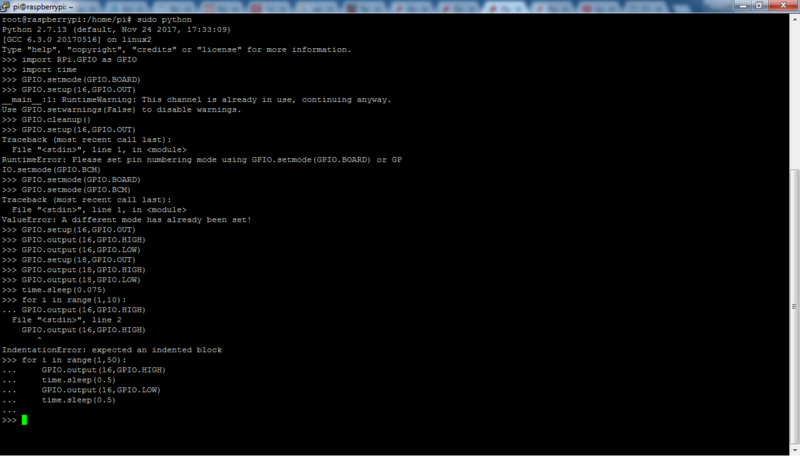 and the putty screen from start to finish including types of errors that you may or may not face. Before start using and playing with GPIOs of Raspberry Pi, we need to install its dependent library in raspbian OS. We can add this library through this simple sudo command. We can access Raspberry PI GPIO pins in two modes. 1st is Board and 2nd is BCM. 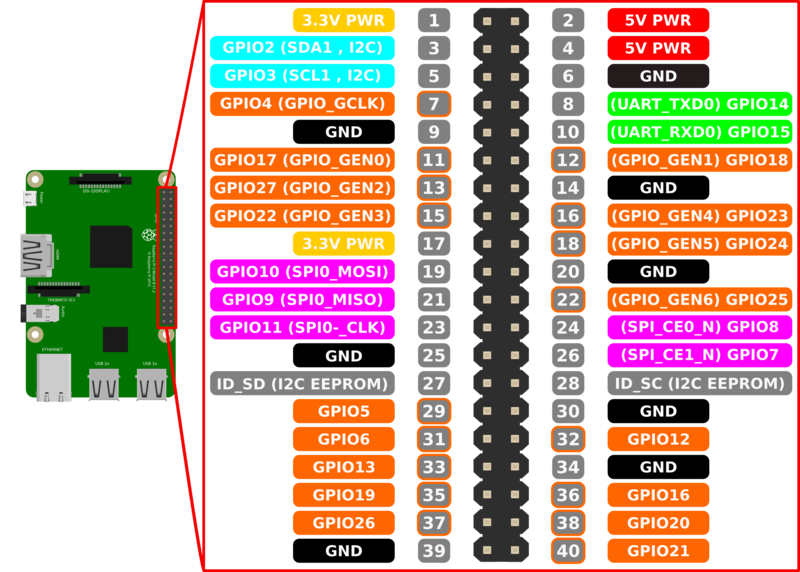 Board is simply the pin number order in which that pin appears in Raspberry PI’s GPIO header. On the other hand, the BCM mode is pin numbering according to Broadcom chip. In this tutorial, we are using BOARD pins of 16 and 18. You may use any other if you wish. Before start blinking the LED let’s learn how to turn it ON and OFF. We had attached our LED in common Cathod mode mean we had provided zero voltages to its cathode via 330ohm Resistance to limit the current flow. Which makes it pretty clear that to Light up LED we need to provide Logic HIGH to the anode terminal of the LED. So we do this by using the following snippet of code in python.